Once a gang shifts away from turf orientation and petty crimes ("First Generation Gang") and begins organizing illegal activities with a money making focus, they become what is characterized as a "Second Generation Gang". Second generation gang activities tend to be drug-centric, operate in broader areas and have a centralized leadership. Most urban gangs fit into the first and second generation characterizations. Organized crime is defined by the FBI as any group having a formalized structure whose primary objective is to obtain money through illegal activities. Gangs perpetuate control of enterprises and illegal activities through threatened and actual violence, graft, and extortion. Turf wars and gang pride are still important however, the focus becomes more about the money. Prison gangs pose a serious domestic threat, particularly national-level prison gangs that affiliate with Mexican Drug Trafficking Organizations (DTOs) and they can maintain substantial influence over street gangs in the communities in which they operate. Prison gangs are highly structured criminal networks that operate within the federal and state prison systems. Furthermore, these gangs operate in local communities through members who have been released from prison. Released members typically return to their home communities and resume their former street gang affiliations, acting as representatives of their prison gang to recruit street gang members who perform criminal acts on behalf of the prison gang. Drug distribution by gang members poses a growing concern in suburban and rural communities; Gang members are the primary retail-level drug distributors and are increasing their wholesale-level drug distribution in most urban and suburban communities. 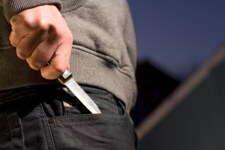 As law enforcement target violent gangs, gang members migrate from the city to suburbia when they attempt to blend in to escape threat of law enforcement action. 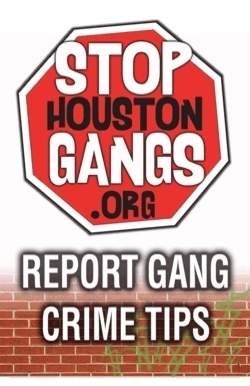 As gangs move into new communities; crime and violence follows. The primary distinction between transnational gangs and other domestic street gangs is that they are criminally active and operate in more than one country. Transnational gangs tend to operate globally and their criminal activities transcend borders. They are sophisticated and their activities resemble those of organized criminal syndicates. As transnational gangs migrate to the U.S., they bring their gang culture, style and violence with them. Criminally active and operational in more than one country. Criminal activities tend to be sophisticated and transcend borders. Criminal activities committed by members are planned, directed, and controlled by gang leaders in another country. Such gangs tend to be mobile and adapt to new areas. Gangs from the United States are increasingly involved in cross border criminal activities, particularly in the southwest border areas along the U.S.-Mexico border. Much of this activity involves the trafficking of drugs and illegal aliens from Mexico into the United States. U.S. gangs are reported to be involved with Mexican drug organizations and are involved in the transport of currency and weapons back to Mexico.